Manchester United will begin the 2012-13 Premier League campaign away at Everton on the 18th of August, before welcoming Fulham at Old Trafford a week later. United’s third game of the season is away at newly-promoted Southampton and September ends with a visit to Anfield followed by a home game against Spurs. Fergie’s troops travel to Newcastle and Chelsea in October, before facing Arsenal at home on the 3rd of November, while they face Premier League new boys West Ham and Reading in successive weeks across November and December. The first derby of the season sees United travel to the Etihad on December the 8th, while the festive period sees United facing Newcastle at home on Boxing Day, WBA at Old Trafford two days later before a New Year’s Day trip to Wigan. The run-in sees City at Old Trafford on April the 6th, before the Reds travel to the Emirates at the end of the month and host Chelsea the following week. Like last season, Swansea are the last home game of the season as United end their campaign away at West Bromwich. Here’s the complete fixtures list. 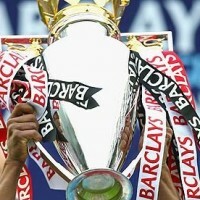 Previous Article← United’s driving force behind the challenge that nearly was? I think it’s the third season in a row that we play Arsenal and Chelsea back to back. Glad to have the last derby of the season at home though, time to get revenge on the bitters. Away AGAIN last day of the season, in what will probably be Giggs and Scholes’ last ever games United. Bad form The FA, bad form. We’ll just have to go and win the Champions League to give them a proper send off in front of more than 3000 of our own fans.